What’s So Great About Nashville? 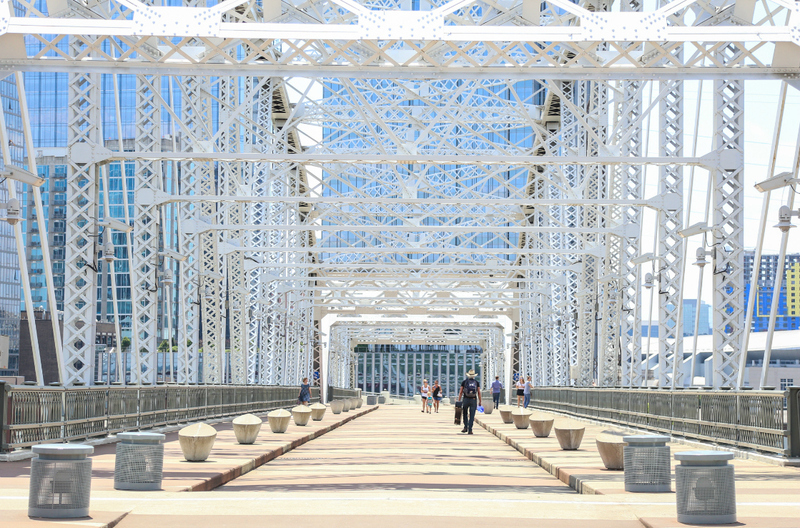 Nashville’s secret is not in its whiskey, nor its hot chicken, nor its music scene even. It’s the winning combination of culture and cowboys, Southern and sass, the fact that it’s got a little bit of everything all rolled into one, that keeps the visitors coming back for more, bless their hearts. It’s the realisation that a pair of brothers like Max and Benjamin Goldberg, born and raised in Nashville, harbour such a deep love for the city. That love is what brings them back home to form one of the most respected hospitality companies in the country, produce nearly a dozen game-changing enterprises such as Henrietta Red, Catbird Seat, and Pinewood Social, and garner critical praise from media outlets across the country, giving Nashville even more credibility as a respected food town among bigger players like New York or San Francisco. It’s also the reality that while denim cut-offs and rhinestone-encrusted cowboy boots may be the tourist uniform down on Broadway, the locals know better—and openly embrace contemporary designers such as Otis James, Amanda Valentine, Nisolo and Elizabeth Suzann, who have put the city on the global fashion map. 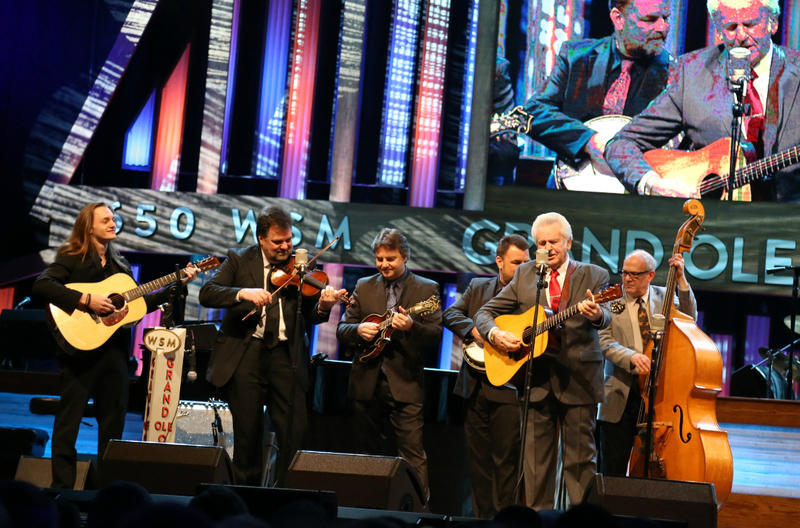 And it’s definitely the fact that, despite being some of Nashville’s older residents, iconic establishments like the Ryman Auditorium—celebrating its 125th birthday this year—and the stately Grand Ole Opry House are just as relevant today and still every bit as in demand as they were 75 years ago, among both tourists and locals alike. 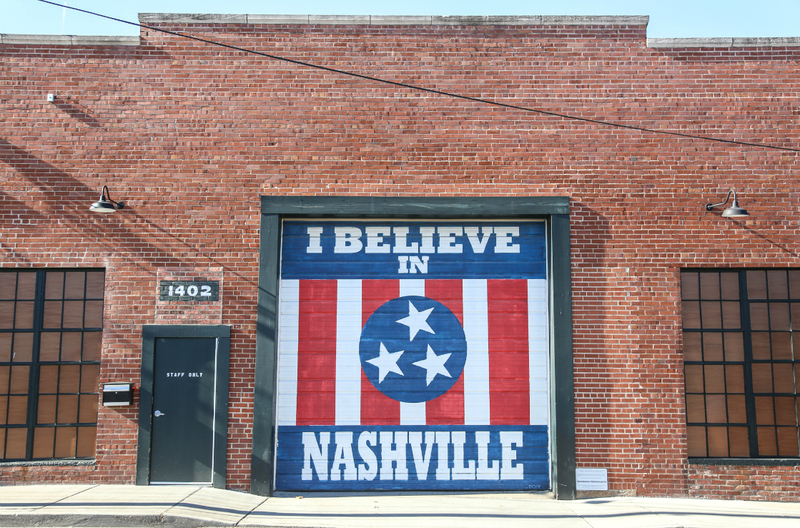 Yes, Nashville’s got a lot to be proud of in 2017. It’s a widely-known joke (possibly with some merit) that Nashville is a “drinking town with a music problem.” And a newly launched state-wide whiskey route—in addition to a local component dubbed the Masters & Makers Trail—has made it even easier for visitors to get a glimpse of Tennessee’s heritage thanks to long-standing legacies like Jack Daniel’s and George Dickel, as well as Nelson’s Green Brier Distillery, which was reopened in 2014 after shuttering in 1909. 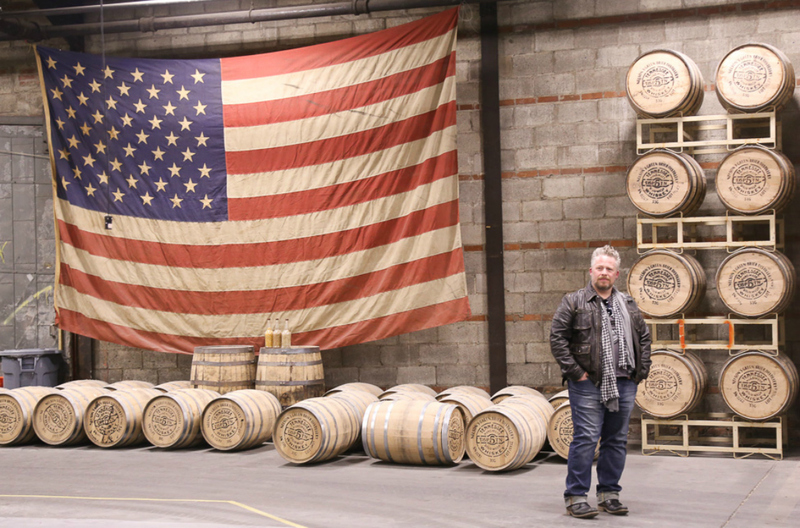 Thanks to a recent change in state legislation, new, smaller production facilities like H. Clark and Leiper’s Fork distilleries have finally been added to the mix, as well, further contributing to the whiskey fabric that lends the area its spirit. A visit to the 30,000-square-foot Nelson’s Green Brier Distillery sheds some light on the past two centuries of whiskey production, dating back to the 1800s immediately following the Civil War, and if you hit it right, you’ll get the stories straight from the source themselves—brothers Andy and Charlie Nelson picked up where their great-great-great-grandmother Louisa Nelson left off when Prohibition forced her to shut the doors more than a century ago, and their father Charles Nelson often gives tours of the premises, too. At the other end of the red-bricked row that’s part of Marathon Village, Corsair—which makes bourbon, vodka, gin and more—operates a brewstillery with grain-to-glass tours of its high gravity beer and malt whiskey program. Whiskey aside, the beer industry is one worth noting. Yazoo Brewing Co. has been around for more than a decade—it opened in 2003, joining the ranks of Nashville’s first craft brewery, Blackstone, in a beer-thirsty city (at the time)—but in the past few years, the number of breweries and taprooms in town has more than doubled. The female-owned Jackalope Brewing Co. recently celebrated its sixth birthday, and new additions to the local brewscape include Bearded Iris, New Heights and Southern Grist. Other veterans like Fat Bottom that were at the forefront of the beer movement have upgraded their digs. Formerly in a small, oft-crowded space in East Nashville, Fat Bottom Brewing Co. now occupies an airy 33,000 square feet in the Nations with its roomy Hop Yard, full-service restaurant, larger production facility, outdoor seating area with beer garden and lawn games, and plenty of private spaces. Sure, the meat-and-three concept is very much alive in Nashville—look no further than lunch at Arnold’s to see that people still eat up (quite literally) the family-owned, cafeteria-style dining joint—but recent years have seen a shift to concept-driven endeavours like Chef Maneet Chauhan’s pair of restaurants: Tànsuǒ is inspired by Chinese street markets, while Chauhan Ale & Masala House fuses Indian flavours with Southern ingredients. 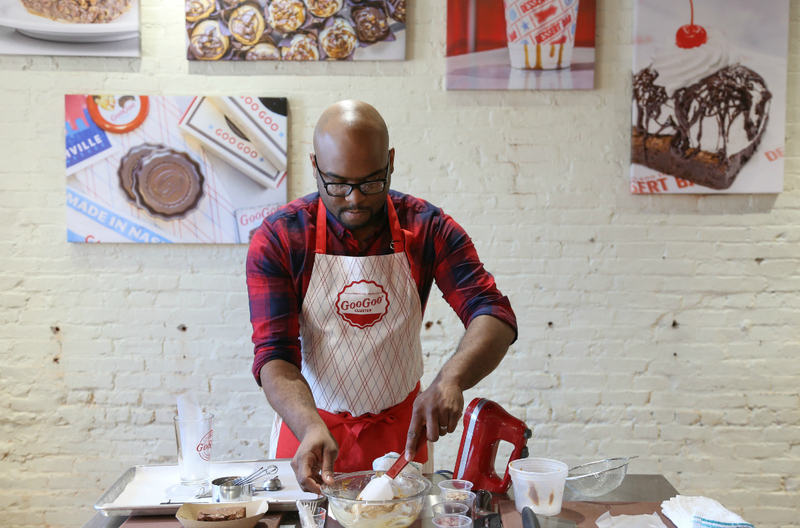 The Food Network star also has a third, The Mockingbird, set to open in the summer. Even the century-old candy brand, Goo Goo Clusters, is changing how it does things. After opening a shop right off Broadway three years ago with expanded offerings such as four-ounce Premium Goo Goos in ever-changing flavours, the beloved chocolate company now offers Candy School, too, open to individuals and groups and perfect for special occasions like birthday parties or bachelorettes. If it’s your first visit to Nashville, you’ll inevitably want to take a stroll down the neon-lit strip known as “Honky Tonk Row.” There’s music round the clock, and someone is always offering up two-for-one shots. For a more authentic experience downtown, head to the rooftop bar at the George Jones Museum where you can sip on a local craft beer while overlooking the Cumberland River and Tennessee Titans’ Nissan Stadium, then get the heck out of dodge (i.e. downtown) and see more of what Nashville has to offer. While popular areas like the Gulch and Hillsboro Village are worthy of poking around, micro-neighbourhoods are popping up left and right. Edgehill Village just off historic Music Row has seen a renaissance thanks to the opening of the speakeasy-themed Old Glory lounge, Barcelona Wine Bar and a handful of boutique shops—not to mention, long time residents like Taco Mamacita and Legato Gelato. East Nashville’s Five Points only continues to get more popular thanks to newcomers like Rosemary & Beauty Queen. And on the other side of town, the Nations is booming as restaurants like Nicky’s Coal Fired and a new Frothy Monkey outpost infuse a dose of cool into a formerly sleepy neighbourhood. Kristin Luna has chronicled her journeys through 50 states and more than 100 countries in myriad magazines like Travel + Leisure, Afar and Newsweek, in addition to on her own blog, CamelsAndChocolate.com.